This particular vehicle was one of 43 that were used in the driver introduction laps, and Dale Earnhardt, Jr., was the driver who rode in it. He’s signed the window sticker and the driver’s side visor, and Rick Hendrick, for whom he drove, has signed the passenger-side visor. With only 5,700 original miles on it, a Ram Air 5.67-litre V-8, WS-6 performance package, and 17 inch aluminum wheels, this car is begging for a road trip. How can you go wrong with a sunshine yellow convertible? 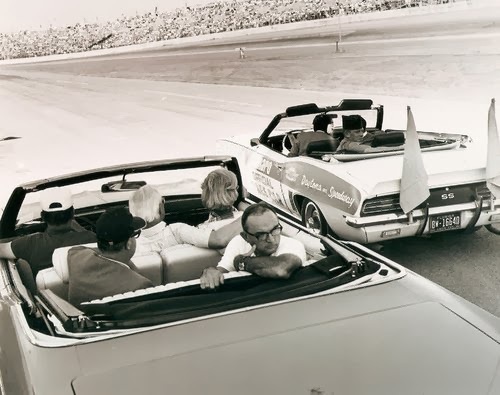 Not only that, the car was originally owned by NASCAR co-founder William C. France, Sr. 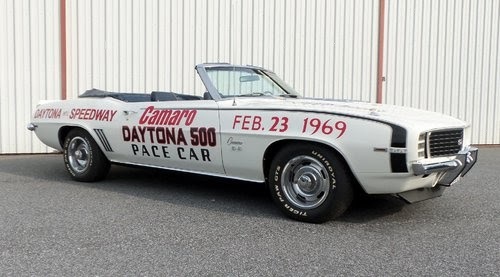 Restored to its original livery, the Camaro comes with a copy of the original title, and photographs from the Daytona archives. 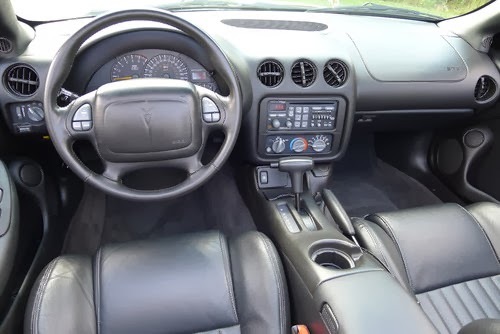 It’s also fully loaded, with a 396 big-block engine that puts out 350 hp, a Turbo Hydramatic 400 transmission, power top, power windows, and even air conditioning for those days when you don’t want to drive with the top down. Here’s another race car featured in Russo and Steele’s upcoming Scottsdale auction (January 15-19). This time it’s a Grand National series stock car once owned and prepared by NASCAR Hall of Fame Inductee Bud Moore. 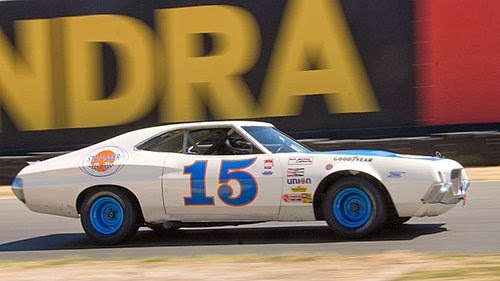 He entered it in a few races in the 1972 season to see how its Ford 351 Cleveland small block motor would perform, and it did manage a 4th place finish at Atlanta in the hands of David Pearson. For 1973, Moore hired driver Bobby Isaac, the 1970 Grand National World Champion. 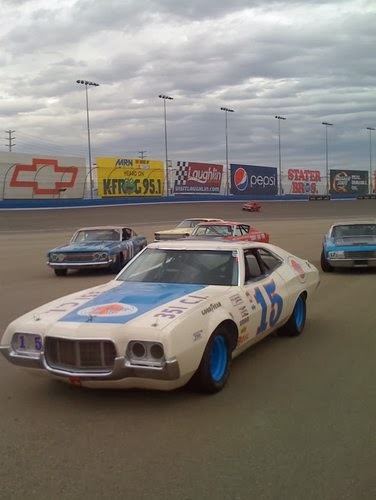 The car’s best finish for that year was the number two place in the Daytona 500, with Richard Petty taking first. Isaac quit partway through the season after a 21-car pile-up killed Larry Smith during the Talladega 500, and Darrell Waltrip took over. The car was then sold on. It has since been through several hands, been restored, and both shown and vintage raced. Since 2008 it’s had numerous improvements, including a 351 Cleveland V-8, and rebuilt electrical, brake, fuel and cooling systems. Scottsdale, Arizona, is a mecca in January for classic car collectors, with several sales going on. One of the biggest, and possibly the one with the most North American cars, is Russo and Steele’s, scheduled this year for January 15-19. 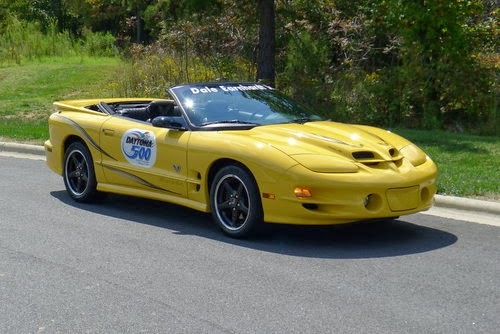 Several of the featured cars for this auction are race cars or at least have a racing connection, so I thought I’d take a look at a few over the next several days. 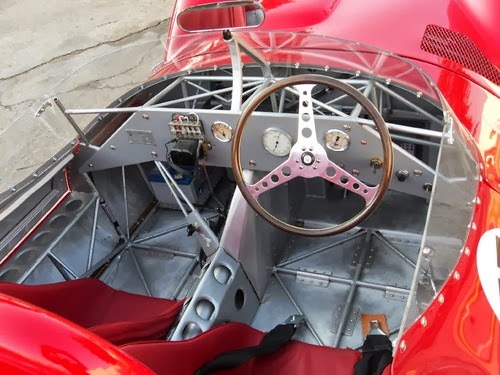 Obviously a Maserati is NOT a North American car, but since I was just talking about the Maserati centennial, I thought I’d start with this “bird cage” Tipo 61 (VIN 2459). At the time, Maserati was building race cars for sale, as opposed to running their own team. The Tipo 60 and 61 both debuted in 1959, the 60 with a 2.0 litre, 200 hp, four-cylinder engine, the 61 with a 3.0 litre, 250 hp engine. Doesn’t sound like a lot, but with their light aluminum tube frame, these cars were competitive. According to Russo and Steele, only 22 bird cage Maseratis were built, yet they won nearly (their word, not mine) 170 victories from 1959 to 1967, including the 1960 Nurburgring race. Accidents and modifications reduced the number of wholly original examples to one. Nope, this isn’t it, but it’s still a very rare car with an interesting history. This particular car was commissioned by American Briggs Cunningham, who not only raced himself, but owned racing teams. The car was kept in racing condition by Alfred Momo and driven by, among others, Augie Pabst and Walt Hansgen. Pabst crashed the car during a practice session for the 1962 Daytona 3-hour Continental. Several years afterwards, a lengthy restoration was carried out. A new frame was built, as was a new 2.0 litre engine (with many original parts), turning the 61 into a 60. Some original parts do remain, the rest were made from original drawings or copied from original parts. Documentation exists for all of the repairs/restoration. The car may no longer be what you or I would consider original, but the UK Motor Sports Association granted it an Historic Technical Passport in 2010, when restoration was complete. The car has been invited to one of the Maserati centennial events, the 2014 Amelia Island Concours d’Elegance. Car show car or vintage racer? Tough call. Guess that all depends on who buys it. While Maserati is celebrating the start of its centennial year this month, that might be a bit premature. Three of the Maserati brothers, Alfieri, Ettore and Ernesto, were definitely involved in building cars in December, 1914, but they were race cars for another Italian company, Diatto. The first car with the Maserati marque wasn’t actually produced until 1926. That was a Tipo 26, which started its career with a win in that year’s Targa Florio. Maseratis have been racing ever since. In 1947, Maserati came out with the A6 grand tourer, its first passenger car. They built the first Quattroporte, a model name still in use today, in 1963. There don’t seem to be any plans for a centennial edition Maserati, but they have designed a centennial logo. Several events are in the works for the next 13 months (December 2013 through December 2014), including a Maserati gathering in Modena next September. 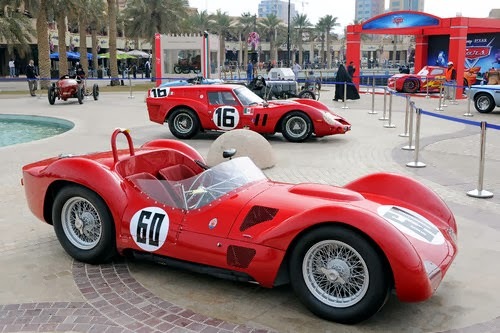 There will also be a display of Maseratis at the Museo Casa Enzo Ferrari. A book, “Maserati – A Century of History” was released last week. Details of all the various events, plus much more, can be found on Maserati’s centennial website. To start their centennial year off right, Maserati reported record sales for North America in November, with 910 Maseratis sold. 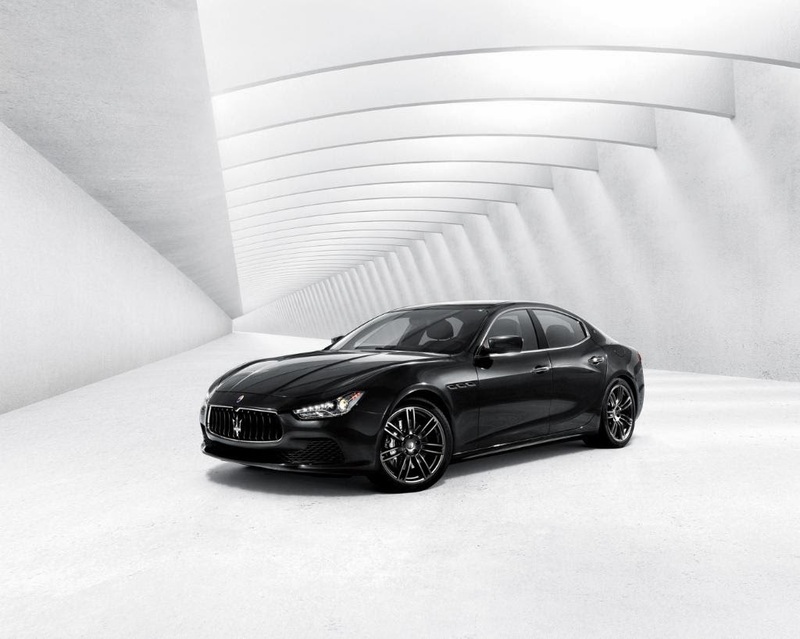 Seems the mid-size Maserati Ghibli is pushing this surge in popularity. 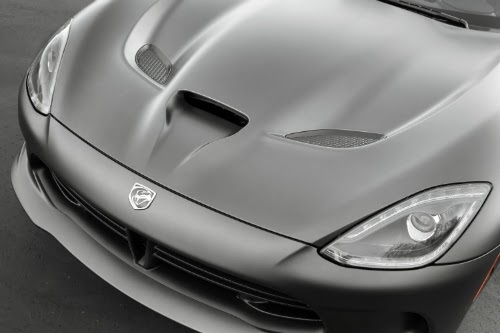 It has a Ferrari-built twin-turbocharged V6 that will do 0-60 in 4.8 seconds, and is an Insurance Institute of Highway Safety Top Safety Pick. With a starting price of $65,600, plus a halo of exoticism, it may give some of the other European sport/luxury brands a run for their money. 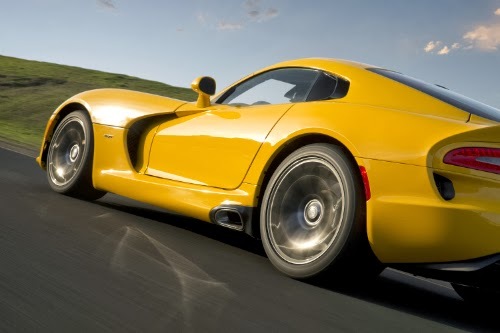 Back in April I said Chrysler had revealed its new Time Attack Viper at the New York International Auto Show. Well, the latest word from Chrysler is that they’re currently being built in their Connor Avenue assembly plant and some should have already shown up at dealerships. Thought you might enjoy another photo of this street legal racing machine. Assuming you could actually afford one, I think the toughest question would be deciding which colour to get. It looks great in the TA orange, but the Viper white and Venom black versions are striking, too. Not much time to decide, however, since there will only be 93 produced in orange, and 33 apiece in black and white. For a little less money you could get the standard Viper. As you can see below, it's still pretty sharp. For more photos, see the Drive SRT site. Rare 1930 Packard Speedsters to be sold by Dragone Auctions. 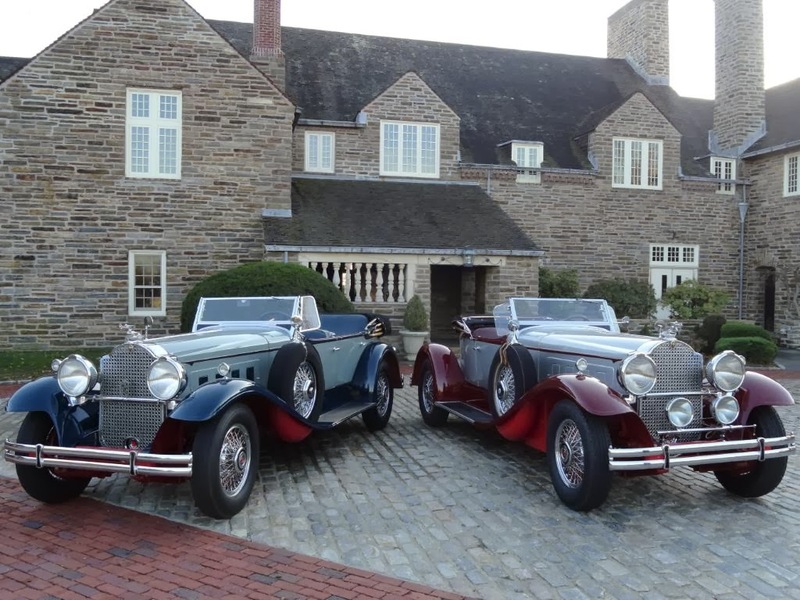 Dragone Classic Motorcars in Westport, Connecticut, has an interesting slate of cars going under the hammer tomorrow (December 7) at 2 pm. It’s a great chance to see and acquire some rare Packards for the collector. Those of us without the money or garage space can at least enjoy the photos of these beautiful cars. Among the featured Packards are a 1929 Packard 645 roadster, a 1930 734 Speedster runabout, a 1930 734 Speedster phaeton, and a 1935 1107 coupe roadster. Dragone say the 1930 Speedsters are two out of just 15 known to still exist. No, the Challenger and Charger haven’t been around that long, but the first Dodge cars (and the first American mass-produced all-steel-bodied cars) were produced in 1914. To celebrate the 100th anniversary of the company founded by John and Horace Dodge, Chrysler is building special editions of these two muscle cars. 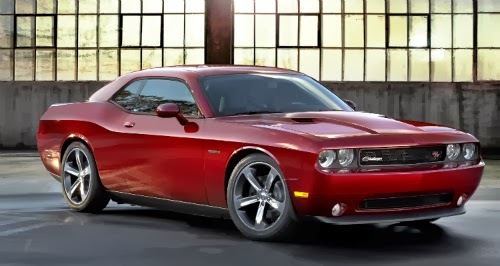 Naturally, the 100th Anniversary Editions of the 2014 Dodge Charger and Dodge Challenger will be available with the legendary HEMI V8 (0-60 in less than 60 seconds), though the Pentastar V6, with its 31 mpg, comes standard. 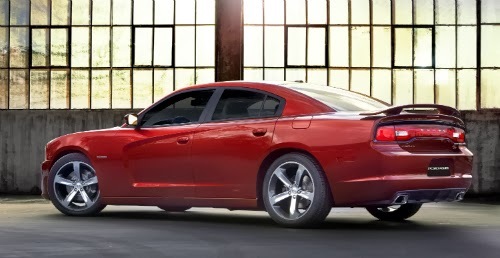 They’ll be set off with special badging, a unique key fob, gorgeous High Octane Red Pearl Coat paint, 20-inch aluminum wheels, and will come with a book celebrating the Dodge brand’s 100 year history. Other paint colours are available, but the High Octane Red is exclusive to the anniversary edition.